VISALIA – There are many situations where you may have to dial 911, but not every call for help can be done aloud. In those situations, wireless customers in the city of Visalia can now text for help when they are unable to call. 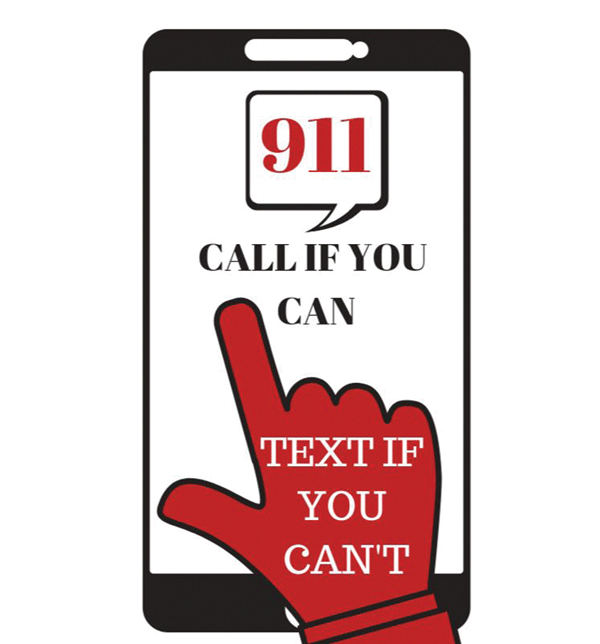 The Visalia Police Department announced last week a new service allowing anyone in the city to send a short message service (SMS) text to 9-1-1 for emergency help when it’s unsafe to make a phone call. This service will be available to any Verizon Wireless, AT&T Mobility, T-Mobile, Comcast or Sprint customer within range of a cell tower in the City of Visalia. “The Visalia Police and Fire departments are honored to be the first public safety agencies in Tulare County to provide this Next Generation 9-1-1 service to our citizens,” said Sgt. Gary Williams, public information officer for the VPD. Text to 9-1-1 was not developed as a replacement to calling 9-1-1 in an emergency situation. Instead, it was developed as an enhancement to reaching 9-1-1 services in three specific situations: 1. The caller is hearing/voice impaired 2. A medical emergency renders the person incapable of speech, or 3. When speaking out loud would put the caller in danger, such as a home invasion, an abduction, a domestic violence incident, or an active shooter scenario. In other words, “Call If You Can; Text If You Can’t”. The City of Visalia Public Safety Answering Point (PSAP) is using a secure web browser-based service that enables PSAP Operators to communicate with texters who send messages to 9-1-1 requesting emergency assistance. Texts to 9-1-1 from areas where the service is not available will receive a “bounce back” message telling them to make a voice call. • Using a phone to call 9-1-1 is still the most efficient way to reach emergency help. Texting is not always instantaneous, which is critical during a life-threatening emergency. It may take slightly longer to dispatch emergency services in a text to 9-1-1 situation because of the time involved: o Someone must enter the text; the message must go over the network, and the 9-1- 1 Telecommunicator must read the text and then text back. • Providing location information and nature of the emergency in the first text message is imperative, since the Visalia Emergency Communications Center will receive only the location of the cell phone tower closest to the call’s origin. • Customers must be in range of cell towers in the City of Visalia. If customers are outside or near the edge of the county, the message may not reach the Visalia Emergency Communications Center. • Wireless customers who use Usage Controls should remove this feature to ensure full text to 9-1-1 capabilities. • Wireless customers must have mobile phones that are capable of sending text messages. The solution is available for customers who use the native SMS provided by Wireless Service Provider. Customers should consult their over- the-top (OTT) messaging provider to determine if and how text to 9-1-1 is provided by the OTT application. The texting function should only be used for emergency situations that require an immediate response from police, fire or emergency medical services. For non-emergency situations, customers should contact their local public safety agency via a 10 digit non-emergency number. • SMS911 should only be used to communicate between emergency help and the texter with no pictures, video, other attachments, or other recipients appended to the message. The Visalia Emergency Communications Center and the City of Visalia is excited to join the ranks of PSAPs moving to use the SMS911 gateway, a significant step in making text to 9-1-1 available more broadly.